Firehouse 12, 45 Crown Street in New Haven, hosts the Fay Victor Ensemble for 2 shows this Friday, May 28. Ms. Victor and her trio - Anders Nilsson (guitar), Ken Filiano (acoustic bass) and Michael "TA" Thompson (drums) - created one of the most original CDs of 2009. "The Freesong Suite" (Greene Avenue Music) is a collection of 3 "suites", each with a room number, and the music is a often cerebral mix of "free" improvisation and word plays - yet, when one pays close attention, you hear how the pieces fit, how the band and vocalist weave around each other, breathe together, support and prod each other. There are blues, rock, country, jazz and more influence throughout the program. Bassist Filiano is, often, the heart of this music, allowing Thompson to "color" the procedings and Nilsson's unique guitar sounds to move in and out of the mix. Victor is the soul and the fire of the band, her poetry/stories growing out of the music. She interacts naturally with the band, nothing is forced and nothing is static. To find out more, go to www.fayvictor.com. The first set begins at 8:30 p.m., the second at 10 p.m. - for more information, go to www.firehouse12.com or call 203-785-0468. 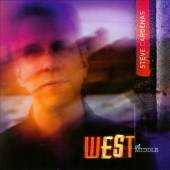 West of Middle - Steve Cardenas (Sunnyside) - Guitarist Cardenas has worked with a number of fine groups including Paul Motian's Electric Bebop Band and Joey Baron's Killer Joey as well as working with vocalists Kate McGarry, Maria Muldaur and Norah Jones. He's recorded with saxophonists Donny McCaslin and Chris Potter, guitarist Jim Campilongo and the big band of Mike Holober. He's been touring the past several years as a member of bassist Ben Allison's Man Size Safe. Allison returns the favor by adding his full-toned lines to this effort, Cardenas' 3rd as a leader and first since 2004's "Panoramic" (Fresh Sound New Talent.) His guitar sound often has a touch of twang in it and many of his songs have the feel of a folk melody with electric guitar. Rounding out the trio is drummer Rudy Royston, best known for his work with cornetist Ron Miles and now also a member of Allison's group. All but one track is a Cardenas original and each is memorable. There's the melodic gentleness of "Burt" that opens the program, a tune that Royston turns upside down with his funk-inspired attack. The trio really "cooks" during the guitar solo with the propulsive drums and booming bass. The title track also opens quietly and moves out into the solo section with a hint of Pat Metheny in the chords and sound. "Country & Western"sounds invade "The Horse You Rode In On", a "ragged" waltz with a swirling guitar solo and strong interplay from the rhythm section. Cardenas overdubs guitars on the so-slow "Drifter", a work that builds to the intensity of a Wilco ballad but never boils over. The one non-original, Keith Jarrett's "Blue Streak" (from his "Treasure Island" release on Impulse in 1974), has a funky yet driving rhythm and some pleasingly loud guitar. Royston and Allison get into good groove underneath Cardenas' twisty guitar solo and never let it go. In the ever-evolving landscape of 21st Century music, one hears more and more music that takes far-flung influences (here it's country music, folk music and rock) and creates a pleasing hybrid. Steve Cardenas has not reinvented his music (one can hear similar influences on 2000's "Shebang" (Fresh Sounds New Talent) but here, the vision of the music is stronger and execution more impressive. To find out more about the guitarist and his music, go to www.stevecardenasmusic.com. Spiral - Dr. Lonnie Smith (Palmetto Records) - The good doctor of the Hammond Organ is back and all is well. With a fine rhythm and lead guitarist in Jonathan Kreisberg and stand-out drummer in Jamire Williams, this disk satisfies the soul. The program opens with a hard-edged take on fellow organist Jimmy Smith's "Mellow Mood" featuring great drum work (Williams never lets down), a fine linear solo from Kriesberg, and an understated yet playful romp from the leader. Smith does a fine job offering standards such as Frank Loesser's "I've Never Been in Love Before", "Sweet and Lovely" (a "hit" for the likes of Bing Crosby, Guy Lombardo and Ella Fitzgerald) and the high-energy romp of Rodgers & Hart's "I Didn't Know What Time It Was." "Frame For the Blues" is a sweet Slide Hampton tune originally written for the Maynard Ferguson Band. Here, it's a slow ballad with pleasing interplay between guitar and organ, both playing with quiet fire. Perhaps the biggest surprise on the CD is the closer, a reverential ballad rendition of the 1963 "pop" hit "Sukiyaki" first recorded by Kyu Sakamoto. Kriesberg's hollow-bodied electric and the organ work through the theme and William's cymbals only show for climactic moments. It's a pretty finish to an enjoyable program. To find out more and get a taste of the music, go to www.palmetto-records.com. 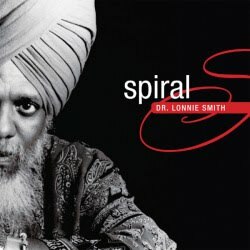 You can learn more about Dr. Lonnie Smith at www.drlonniesmith.com. Keeper - The Stryker/Slagle Band (Panorama Records) - Perfect title for this CD because the blend of strong musicianship, quality material and fine sound quality will "keep" you coming back. Guitarist Dave Stryker and alto saxophonist Steve Slagle have been working together for the better part of 2 decades but the band has only recorded 5 times since the turn of the 2000s. Bassist Jay Anderson is back for his 3rd session (he also served as chief engineer and mastered the session) while drummer Victor Lewis is on his 2nd CD. The latter's cymbal work is a treat throughout while the bassist (who's played with many of the greats) is solid and musical. Stryker is really a masterful rhythm guitarist - his "On the Trail" quotes during Monk's "Ruby My Dear" and his insistent chordal work on every piece is impressive. His solos are often heated yet he rarely turns up the volume, his full-toned notes and funky stinging phrases stand out. And, he can get "down" as he so beautifully displays on "Blue State" with "blues" riffs that make the listener shake his head and tap his feet. If you like music that feels good, masterfully blends blues and jazz, and is well-played, "Keeper" is for you. To find out more, go to www.myspace.com/strykerslagleband. 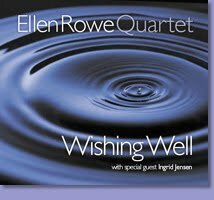 Wishing Well - Ellen Rowe Quartet, with Ingrid Jensen (PKO Records) - Lyricism in music is often viewed as maudlin or sentimental. Not so here. 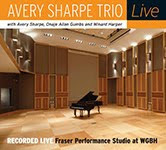 Connecticut native Ellen Rowe's 3rd CD as a leader is her 2nd with Andrew Bishop (tenor & soprano saxophones), Kurt Krahnke ( bass) and Pete Siers (drums.) She gives material they can sink their minds into, whether it's the playful bluesiness of "Lewisburg Bluesy-oo", the bottom-heavy funky-ness of "Sanity Clause" or the melancholy strains of "Longing", one of the 2 lovely cuts that feature Ingrid Jensen on flugelhorn. This is mature music in that it's not about the "chops" - no, pianist Rowe et al want you to enjoy yourself and get lost in the sounds. Pieces such as "Seven Steps to My Yard" and "Tick Tock" swing lustily (Ms. Rowe offers up a mighty but brief solo on the latter track.) Tenor saxophonist Andrew Haefner joins the Quartet on "For Donald", a lovely piece dedicated to the late Donald Walden, Professor of Jazz Saxophone at the University of Michigan; Haefner is a recent graduate and both Rowe and Bishop are on the faculty. The work is pleasing on so many levels, from the rich melody lines to the short but expressive solos to the fine support of Siers and Krahnke. "Night Sounds", dedicated to the memory of Rowe's brother Tim who passed in 2005, is no dirge - instead it moves forward on the Latin rhythms of Sier's snare and the bouncing bass lines. The piano solo is filled with articulated lines, crisply played, no blues or sadness in Rowe's delivery. The deep notes Bishop gets from his tenor alternate with the higher phrases, all atop ringing piano chords. Bishop's work throughout the program is excellent, he rarely wastes a phrases and his softer yet still muscular attack is enjoyable. "Wishing Well" might get lost in the flurry of releases in 2010 but search out this CD - mature music such as this has many levels to explore and revel in just how finely Ellen Rowe and her musical friends create this magic. For more information, go to www.ellenrowe.com. The Monster Returns - Quartet of Happiness (Creative Nation Music) - Humor in music can be an acquired taste and one definitely has to be in the mood. The "theatrical jazz" of this Boston-based foursome is, at turns, heavy-handed, sophomoric, silly, and downright funny. The 2 sax "attack" of Kelly Roberge (tenor) and Rick Stone (alto) plus the rambunctious rhythm section of Austin McMahon (drums) and Kendall Eddy (bass) makes quite a racket and I could not help thinking this material must work quite well in a "live" setting - the band has no compunction in wearing silly costumes and carrying on. But, those shenanigans don't always carry over well to recordings. Several pieces do - the bebop challenge titled "The ii-V7-1 Game" does work and it's a nifty conceit, the saxophonists playing short phrases to see who can play "the best" over the changes. "So You Think You can Jazz" is a hilarious musical "take-off" of game show competitions as well as "hi-falutin'" musicians. The Quartet can certainly play, as they show on "Luck of the Irish", a jig-filled blast with the saxophones carrying on as well as the high-energy opening and climax to the title track that closes the disk. 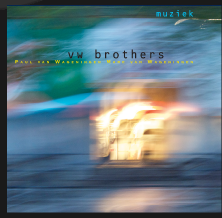 There are moments on several track when the music sounds like the Vandermark 5 meets the Willem Breuker Kollektief. If you're in the mood for silliness, "The Monster Returns" will make you chuckle - I still bet it's more fun in concert. For more information, go to www.quartetofhappiness.com. Joy Spring - Bill Carrothers (Pirouet) - Bill Carrothers has issued a number of fine CDs but none as immediately appealing as this trio date. Flanked by bassist Drew Gress and drummer Bill Stewart, the pianist dedicates this program to the music of the Clifford Brown/Max Roach Quintet. 4 of the tunes are composed by Bud Powell's younger brother Richie, who perished with his wife in the 1956 car crash that also claimed Brown. Powell never received the acclaim of his older brother but was respected as a composer. His tune "Jacqui" is a sweet romp, with a two-handed line for a theme and a loping rhythm. "Gertrude's Bounce" is a sweet little tune with a genuinely happy melody - Stewart's sprightly stick work, especially on the cymbals, is impressive. On many of his other recordings, the pianist takes familiar material and re-imagines the song. Here, Carrothers radically alters the mode of the title track, abandoning the hard-bop prance for a more abstract and introverted solo piano take. The melody is nearly unrecognizable until halfway through the piece. The piece is transformed into a lovely, touching, ballad. "Daahoud" jumps out of the gate atop more fine drum work and Gress's aggressive walking bass lines while "Powell's Prances" opens with a short drum solo before Stewart and the bassist set a blistering for Carrothers' dancing solo. Gress struts out of the gate on "Gerkin for Perkin", laying down a fast-paced walking line that never lets down throughout. As tributes go, this one succeeds because of the musicians expansive attitude towards the material - the results are not slimmed-down copies of the originals but, more often than not, imaginative reinventions that allow for personal expression and excellent interplay. One wants to go back to listen to hear just how good the initial recordings sound and how this 2009 session is just as impressive in its own way. For more information and a fascinating website to explore, go to www.carrothers.com. 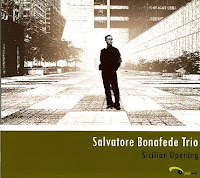 Sicilian Opening - Salvatore Bonafede Trio (Jazzeyes) - It's a tribute to the power of music from the Crescent City that the title track of this handsome CD is a high-stepping romp that one could imagine being created by Allen Toussaint. However Bonafede has never been to New Orleans yet he has such a fun time dancing over the snappy drum work of Marco Pellitteri and booming bass of Marco Panascia. 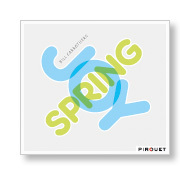 While nothing else in the program has the unmitigated joy ofthe track, there is some fine creative interplay. Bonafede displays a much easier touch on "Ideal Standard", a boppish piece with an active walking bass line. He takes a nice blues turn on "Bbbb" and pays more homage to New Orleans on "Wwww." The latter track shows the influence of Brad Mehldau as do the 2 Beatles' covers, "Blackbird" (the rhythm section pushes the tempo and Bonafede does a fine job just behind the beat) and "She's Leaving Home" ( nice Latin touch in the rhythm under the verses.) The pianist adds a gospel touch to "Italian Ingegno" with strong support from his left hand and rolling right-hand phrases. 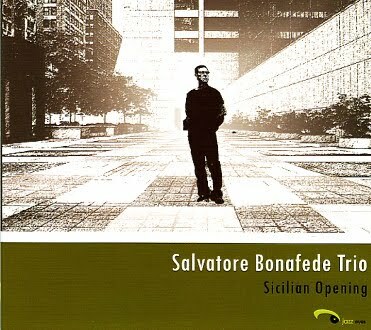 There is a beautiful medium tempo track, "Lode al Silenzio", that features a classical melody, fine counterpoint from the bass, and gentle propulsion from the percussion. With influences from pop music to blues to funky New Orleans, "Sicilian Opening" has a hopeful message in its presentation. I am impressed by Pellitteri's fine responsive drumming and he makes even the quieter tracks interesting with his work. Salvatore Bonafede plays well and his myriad interests color his original pieces. There are a few weaker moments but, overall, this music is a tasty treat. For more information, go to www.musiceyes.com. Capitol Diner Vol. 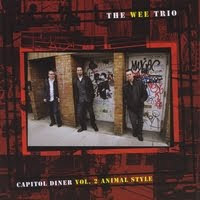 2: Animal Style - The Wee Trio (Bionic Records) - 18 months ago, The Wee Trio made quite a critical splash with their debut CD. Vibraphonist James Westfall displayed a unique approach to his instrument while the funky-"free"-hard bop rhythms from Jared Schonig (drums) and Dan Loomis (bass) were playful and challenging. "Volume 2", recorded in New Orleans following a lengthy time on the road, is no less engaging. The "hell-bent" drive that permeates "White Out" and the funky fire of "Wherever You Go, There You Are" displays the band's chops while there is a exotic feel to "Tig Mack Is back In Santa Monica" (which has a melody line and sound similar to a piece from Max Roach's M'Boom.) A synth sound pops up on that last track as well as on the hard-driving "Pinball Number Count." On initial listen, the "strange" sound is a bit off-putting but eventually one realizes it's actually a smart textural move. With the exception of "Avril 14th" by Aphex Twin, "But Beautiful" by Jimmy Van Heusen and the afore-mentioned "Pinball Number Count", composed by Walt Kraemer for the "Sesame Street Number Count", the band each brought in pieces. They compose to each other's strengths, the deep, rich, sonorities of Loomis's bass, the hard drive and propulsive quality of Schonig's drums and Westfall's melodic flair (his "Snow Day" is a highlight.) "Animal Style" shows The Wee Trio has grown since its debut and there is still room for more. For more information, go to www.theweetrio.com. 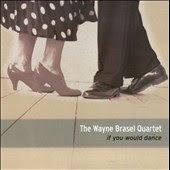 If You Would Dance - The Wayne Brasel Quartet - (Brasjazz Records) - Guitarist Wayne Brasel must be quite a model citizen in his adopted home of Stavanger, Norway. A native of Northern California, Brasel is now an associate professor of music and heads up the jazz guitar department at the University of Stavanger. Brasel received, in his words, "generous financial support" from the Cultural Commision of Stavanger to create this program. His new CD features a smashing rhythm section of Tom Warrington (acoustic bass) and Peter Erskine (drums) plus the empathetic and sympathetic support of Alan Pasqua (piano) - percussionist Satnam Ramgotra appears on "The Hermit." First thing one notices is how melodic the music is and how few hard edges the pieces have. Brasel has a soft, round, tone on electric guitar, not unlike Pat Metheny, with a little country twang now and then (especially on the title track.) This is music to cuddle up with, to let wash over you, whether it's the gentle hard-bop of "Celebration" or the folky exploration of "The Hermit", with the tabla beneath the acoustic guitar and Pasqua's open chords. The one non-original, "Oleo de Mujer con Sombrero" composed by Silvio Rodriguez of Cuba, is a lovely melody rising gently over Erskine's ever-so-quiet brush work. It's as if time does stand still during both the piano and acoustic guitar solos. "A Heart on Fire" displays the fine interplay of the drums with the soloists as well as bassist Warrington's bouyant bottom lines and occasional counterpoint. Wayne Brasel's music on "If You Would Dance" is the perfect antidote for times of trouble or sadness. The music offers no answers to hardships but gives musical succor when one needs to take things slowly. Well-played, smartly arranged and heartfelt music, take your time and surrender to these sweet sounds. For more information, go to www.waynebrasel.com. By now, you have undoubtedly read of the passing of pianist Hank Jones. The 3rd and final Jones brother who had a major impact on the world of jazz (trumpeter/composer/arranger Thad and drummer/bandeader Elvin having passed earlier), Jones hailed from the Detroit, Michigan area, via Vicksburg, Mississippi. Hank lived 91 years and played piano for just about all of them. The list of musicians he worked and recorded with is amazing, including Coleman Hawkins, Artie Shaw, Benny Goodman, Charlie Parker, Lester Young, Ron Carter, Tony Williams, Charlie Haden, Joe Lovano, and many more. He served as staff pianist for CBS Studios and as conductor/pianist for the Broadway production of "Ain't Misbehavin'." In recent years, he accompanied vocalist Roberta Gambarini in person and on recordings. His recent recordings as leader or sideman showed no diminution of ideas - he was the consummate accompanist and his solos were as sprightly and thoughtful at 90 as when he was 30. Even at the age of 91, he continued to perform, completing a tour of Japan in February of this year - read Peter Keepnews' obituary from the New York Times here. Here's Mr. Jones in "conversation" with bassist Christian McBride from 2009 (courtesy of Mack Avenue Records and IODA Promonet. Pianist/composer Jean-Michel Pilc (pronounced "pilk" and pictured left) performs at Firehouse 12, 45 Crown Street in New Haven, this Friday (5/21) with the first set at 8:30 p.m. Pilc, who relocated to New York City from his native Paris, France, in 1995, has a gentle, melodic, yet often assertive style that has earned him gigs with artists such as Harry Belafonte, Roy Haynes, Michael Brecker, Dave Liebman, Marcus Miller, Kenny Garrett, Chris Potter, John Abercrombie, and the Mingus Dynasty and the Mingus Big Band. He's released 6 CDs since his arrival in the US, including "True Story" (Dreyfus Jazz) reviewed below. For the 2 sets in New Haven, Pilc will be accompanied by bassist Boris Kozlov and drummer Johnathan Blake (son of violinist John Blake, Jr.) For ticket information, call 203-785-0468 or go to www.firehouse12.com. And, before Pilc dedicated his life to music, he worked for several years as a rocket scientist - he talks a bit about that with WBGO's Josh Jackson on a recent edition of The Checkout - hear it here. 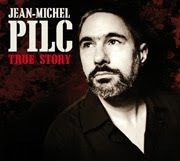 True Story - Jean-Michel Pilc (Dreyfus Jazz) - What a sweet collection of tunes make up Pilc's latest release. Flanked by Boris Kozlov (bass) and Billy Hart (drums), the pianist makes one sit up and listen from the opening notes of "The Other Night" (which has a similar set of cascading notes as a section of Dire Straits' "Why Worry") through the classical strains of "Mornings with Franz" (dedicated to Schubert, whose work "Relic" is given a jazz arrangement elsewhere on the disk) to the dramatic tango rhythms of "My Heart Belongs to Daddy." Along the way, the Trio gets a bit Monkish on "B.B.B." and takes a lovely and adventurous stroll through "Try To Remember" (from the long-running musical "The Fantasticks"). The work of Kozlov and Hart is impressive throughout - there's more than a hint of Keith Jarrett in the pianist's attack on "PBH Factor" and the bass and drums react with strength and glee. The title song is actually a 5-part suite that goes in many directions yet rarely gets loud. Hart's drum work on "Scene 3" and "Scene 4" is remarkable in its restraint and inventiveness. Much of this music is quiet but there is a power in the melodic inventions and rhythmic interplay. A lightness of spirit pervades many tracks (quite notieable on "High Sky - The Elegant Sky") and the joyous interactions of the musicians really makes for delightful listening. For more information, go to www.jmpilc.com. Other highlights include Ullmann's mysterious ballad "Kleine Figuren #2" with its blowsy, almost boozy, melody line from the trombone and the 2 "GPS" tracks that are group improvisations - "#`1" skitters along while "# 2" rumbles and squeals over pounding drums. The sound quality on "News? No News!" gives the edge to the rhythm section - both Greene and Altschul stand out, making the music more immediate and, honestly, "in-your-face." Ullmann and Swell react in kind making this effort "good news fit to hear." 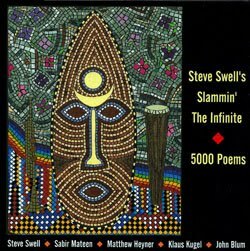 5000 Poems - Steve Swell's Slammin' The Infinite (Not Two Records) - This is the 4th recording for this ensemble and the second featuring pianist John Blum. With multi-reed player Sabir Mateen (alto & tenor saxophones, clarinet & alto clarinet, flute) on the front line and an excellent rhythm section in Matthew Heyner (bass) and Klaus Kugel (drums), the music moves "in and out" with abandon yet has a purpose. Swell, who composed all the material, knows his cohorts, writes to their strengths and allows them the freedom to work "outside" the compositional "box." Therefore, the first 60% of "Sketch #1" is a fiery conversation for Mateen on flute and Blum that gives way to a trombone and drums interplay for another several minutes until the band plays a short theme and the piece closes with a bowed bass solo before the theme makes a short return. It's the sort of material that works well in concert but one that needs to pay attention to on a recording to understand the links between sections. Blum's full-fisted chords and quick single-note "jabs" give "Where are the Heartfelt?" a Monk-like feel (albeit, "out" Monk), opening the door for Mateen's incendiary tenor solo and Swell's blazing romp. Heyner and Kugel are like "shape-shifters" beneath the soloists, reacting to or prodding the front line, toying with tempos and dynamic variations - their work beneath Blum's blazing solo is one of the highlights of the program. There's more than a hint of the blues that radiates throughout "My Myth of Perfection", the "stop-and-start" feel in the rhythm section below Swell's fine solo as well as Mateen's sweet alto spotlight. Swell's muted trombone has an acidic edge as does Mateen's high-energy clarinet through the first half of "The Only Way Out" yet, after the bowed bass solo, the piece takes on an ebb and flow with each player moving with abandon towards the sire-line wail at the end. "5000 Poems" is an apt title for this program, as each piece contains pithy, abstractions from which one can glean a multiplicity of meanings (Yes, this is "mood" music in that one has to be in the right frame of mind to listen completely - definitely not "background" music.) Recorded early in 2007 but just seeing the light of day, this is exciting, challenging and rewarding modern music. 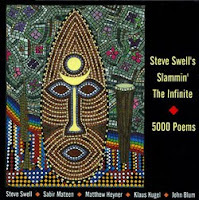 For more information, go to www.steveswell.com. Ahh... the Brothers Heath, Jimmy (left) and "Tootie" (right) come to Hartford, CT, this weekend (5/13-15) to take part in the The Artists Collective Jackie McLean International Arts Festival. The first event is actually the opening of "Expressions in Sounds and Motion", an exhibition of the photography of Maurice D. Robertson and takes place from 5 - 8 p.m. in the Atrium of the Collective located at 1200 Albany Avenue. Maurice has been involved in the creative music scene in the Hartford area for over 3 decades and his images are among the finest contemporary work. On Friday, Jimmy Heath will be in residence from 4 - 5 p.m. at the Hartford Public Library, 500 Main Street, to sign copies of his newly-published memoir, "I Walked With Giants" (Temple University Press). Heath, an irascible wit, fine composer, arranger and saxophonist, has been involved with jazz for nearly 7 decades, has known and blown with many of the greats of be-bop and "hard" bop eras. He's quite candid about his drug us and subsequent jailing that nearly derailed his career. Nowadays, he still plays with urgency yet has a demeanor mellowed with and by his myriad experiences. Following the signing from 5 - 7 p.m., the Library will host a number of performances including the Artists Collective African Connection, the Hartt School Community Division String Quartet and Dance Ensemble, the Hartt School Jazz Ensemble, Chris Casey, director, the Jackie McLean Institute Music Ensembles, Rene McLean, director, and the Jackie McLean Youth Jazz Orchestra. These events are free and open to the public. The fun starts early on Saturday at 1200 Albany Avenue with the Artists Collective's Music Student Showcase running from 10 a.m. - 1 p.m. Jimmy Heath will conduct a "Master Workshop" from 1:30 - 2:30 p.m. Both events are free. At 8 p.m, the Heath Brothers Quartet, featuring Jeb Patton (piano), David Wong (bass) and "Tootie" (drums), will perform in the Collective's concert space. If you've never see them play, it's truly a treat. Had the opportunity to catch them at the Jazz Showcase in Chicago several weeks ago and had just the finest time - you can read about that here. Let's just say, you'll have a good time. Tickes are available by calling 860-527-3205. Ran across a track from the new CD by alto saxophonist/composer Sarah Manning the other day (which I'll share below) and really enjoyed it. The disk, "Dandelion Clock", is on Posi-Tone Records and deserves your attention. Featuring Art Hirahira (piano), Kyle Struve (drums) and Linda Oh (bass), the music is forward-thinking, melodic and rhythmic and moves in unexpected directions. Ms. Manning's tone has bite yet tempered with an understanding of and love for the blues. Turns out to be her 3rd CD (her debut was issued in 2004) and is already garnering positive reviews. I look forward to hearing the rest of this music. Here's a taste of "Marble", courtesy of IODA Promonet and Posi-tone Records. To discover the artist and hear more of her music, go to www.sarahmanningmusic.com. One of my favorite CDs of 2009 was saxophonist/composer Marcus Strickland's "Idiosyncrasies", issued on his Strick Muzik label. Recorded on December 1, 2008 with his brother E.J. (drums) and Ben Williams (bass), the trio played music that crossed multiple boundaries ("pop" covers, jazz covers) in such an inviting manner. The combination of melodic invention, rhythmic excitement and strong solos made for great listening. 17 days later, the trio, with the addition of pianist David Bryant, recorded the equally compelling "ballads album", titled "Of Song", for the Dutch Criss Cross label. The Brothers Strickland (identical twins, by the way) and Mr. Williams will be performing Friday May 14 at Firehouse 12, 45 Crown Street in New Haven. Both brothers keep a busy schedule, Marcus with Dave Douglas's Keystone and E. J. with Ravi Coltrane's Quartet. Together, they make music that hearkens back to the sounds of Sonny Rollins and, thanks to the quality of the repertoire and musicianship, is still quite contemporary. They'll play 2 shows, 8:30 and 10 p.m. - for ticket information, call 203-785-0468 or go to www.firehouse12.com. To learn more about Marcus Strickland, go to www.marcusstrickland.com. 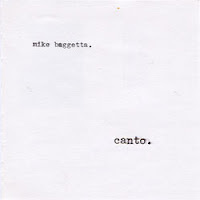 Received an email from guitarist/composer Mike Baggetta to let me (and other) bloggers/reviewers know "that I am trying to raise funds to reissue my first album 'Canto' - 9 original pieces for solo prepared guitar. I've always felt that this album was an important mark in the development of my musical identity and the time has come to make this music available again! It was originally issued on the now defunct NJ label Optical Sounds as a CDR. This reissue will be self-released giving me complete control over the remastering, pressing and presentation of this work." He's suitably proud of this work, recorded in 2003, and, honestly, there's very few recordings like it. Influenced by the work of British guitarists such as the late Derek Bailey and Fred Frith, Baggetta created these pieces by "preparing" his guitar to alter the sound. Many of the pieces are quite stark and some have the sonic quality the of Mississippi Delta blues, circa 1930.
http://www.kickstarter.com/projects/mabnotes/reissuing-canto-reviving-original-music-0 and follow the instructions. Chamber Songs/Music for Nonet and Strings - Alan Ferber (Sunnyside) - The number "9" is quite germane to this excellent new release from trombonist/composer Ferber. He utilizes his fine nonet and adds a 9-piece string section, conducted by J.C. Sanford, to the majority of the 9 tracks. Numerology aside, this CD continues the onslaught of impressive large ensemble recordings that have been issued n the past 18 months. Blending strings with a jazz ensemble often has a pasted-on feel but Ferber, in his role as arranger, really pays attention to how the sonorities mesh throughout. 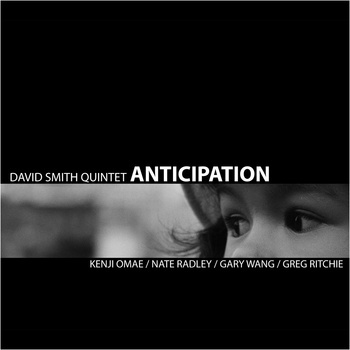 Opening with a lovely arrangement of Keith Jarrett's "The River" (originally played by his Trio with Jack DeJohnette and Gary Peacock), the music has the feel of an Aaron Copland work, the openness, solemnity and grace that was a hallmark of that composer's more "popular" works. That leads directly into "Interlude", an original that shares the melody among Bryn Robert's piano and the 5-man horn section. "Paradox", composed by nonet member Jon Gordon (alto and soprano saxophones), features a lively rhythm supplied by Mark Ferber (drums) and underpinned by bassist Matt Clohesy. Gordon gets the long solo and then there's a lively gove-and-take with Gordon, trumpeter Scott Wendholt, guitarist Nate Radley, trombonist Ferber and violinist Zach Brock. Drummer Ferber (yes, they are brothers) delivers an sprightly and muscular solo before the piece moves to its exciting finish. The work of John Ellis (tenor saxophone) and Doug Yates (bass clarinet) is impressive throughout, especially in their ensemble work on "Ice Caves" - Yates gets to let fly on "Union Blues" while Ellis creates a fine, multi-layered statement on "Sedona." The CD closes with Ferber's imaginative arrangement of guitarist Ben Monder's "In Memoriam" (a piece originally written for solo guitar) Like "The River", the work is played sans rhythm section (including no piano or guitar). The music has wonderful textures, the lower horns moving in and through the glimmering string work, and a long melody line. The music on "Chamber Songs" satisfies the curious mind, with songs that go in many directions, sectional writing that is free of cliches and many fine melodic lines. Not unlike the writing of Bob Brookmeyer (yet not sounding like Brookmeyer at all), the various voices that comprise the nonet are clearly heard and all have something to say. File under "wondrous", this is music that sticks in your memory. For more information, go to www.alanferber.com. (Self-Titled) - 3ology with Ron Miles (Tapestry) - This group, based in Colorado, is a trio with a full-throated sound. Bassist Tim Carmichael is way "up in the mix" which is fine because he's a good player. His brother Doug plays tenor saxophone and drummer Jon Powers is quite forceful. Add to the mix the strong cornet work of Ron Miles and this disk, the third for the group and first for the Tapestry label, is worth your time. The very short opening track (:20 seconds) is titled "All Miles" and is just that - a bluesy trumpet coda that leads directly into "Gonna Leave a Mark", a "slow drag" with booming bass and mournful horns. The bass lines weave in and around the quiet tenor solo while, for his solo, Miles pushes the pace and the volume upwards. There's a bit more heat in the funky "Back in Hotchitakee" with its short, terse, 3-note line that takes over the middle of the song - the cornet and tenor push and pull at the notes until Miles takes an unaccompanied solo that sounds influenced by Lester Bowie. The rhythm section returns with the 3-note run and the piece rushes to its eventual climax and strangely soft finish. "Flight of the Neo-cerebral Peace Iguana" (who says they don't write them like that used to) features brother Tim on electric bass, with popping notes, yet the piece is a sensuous, slippery, tune not unlike late 70s/early 80s Weather Report. It's just cornet, handclaps and percussion on "For Don", a piece that blends African, Caribbean and South American influences and is (probably) dedicated to Don Cherry. Miles has such a clear, rich, tone on his horn - he fills the sound spectrum yet never dominates. "Aw Dude" is raw funk, rollicking drum work and roiling electric bass, with a understated yet tenor work and fiery solo from Miles. Doug Carmichael cuts loose in the closing section, sparring with the cornet while the rhythm section continues to "kick hard." The program close with "Zero Miles" (correct - no cornet), a slower piece with rich tenor tones and more fine acoustic bass. 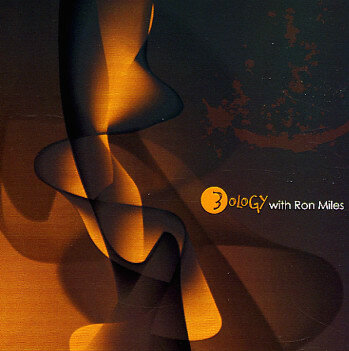 3ology make music that smolders, with a "deep blues" feel yet rife with jazz sensibilities. 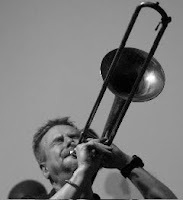 The addition of Ron Miles actually frees brother Doug to play more sparingly, abstractly and with good dynamic variety. Brother Tim is quite the creative bassist (melodic, supportive, and propulsive) and works wel with Powers to give the music its depth. To find out more, go to www.facebook.com/pages/3ology/23364870240. PRISM Quartet, 4 saxophonists whose musical repertoire ranges from modern classical to avant-garde to jazz, has issued 2 new CDs in the past few months - both are worth taking the time to explore. In existence since 1984, PRISM has pioneered new works by composers such as William Bolcom, Steven Mackey, and JacobTV as well as keeping the works of William Albright (1944-98) in the ears and minds of the public. Currently, the Quartet features Timothy McAllister (soprano sax), Zachary Sherman (alto, soprano), Matthew Levy (tenor) and Taimur Sullivan (baritone, soprano). 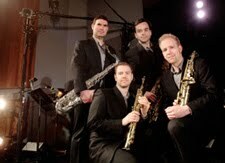 You can discover more about the 4 musicians and their musical mission by visiting www.prismquartet.com. 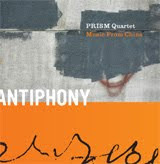 Antiphony, featuring Music from China (Innova) - Music from China is a musical organization, founded in 1984, whose mission is to promote both traditional and new music and whose reach has become international. Led by Susan Cheng, Wang Guowei (who has taught at Wesleyan University) and Zhou Long, the chamber ensemble has premiered over 100 works by Chinese composers, many of which were either commissioned or competition prizewinners. This stunning CD opens with Wang Guowei's 2-movement "Songs for Huqin and Saxophone Quartet" - the first part, "Pastorale", blends the open feeling of Aaron Copland's best works with the softness of a Mongolian folk melody (supplied by the composer on zhonghu, a Chinese fiddle. Part 2, "Crescent Moon at Dawn" is derived from a Chinese folk tune with Guowei on banhu (another style of Chinese fiddle). The plaintive melody moves among the saxophones and, at other times, they serve as a chorus supporting the melody lines. The closing section of the tune hops along like a Far Eastern hoedown. The title track, composed by Zhou Long, is a series of small dialogues, first between the Chinese instruments and percussion - many stretches of silence separate the melody lines. The saxophone quartet enters 1/3rd of the way through the piece, serving as a bridge between the first and second sections. Guowei's haunting erhu (a 2-stringed fiddle) enters into a conversation with the saxophones, the lovely soprano tones bending above the string tones. The rousing closing section features a pounding martial beat underneath the whirling and whinnying reeds and strings. All but one of the pieces are recent compositions. The exception, "Shuang Que", is a 1984 work by Tan Dun (who is, perhaps, best known, for his Oscar winning score for "Crouching Tiger, Hidden Dragon") and does not feature the saxophones. Performed by Guowei on erhu and Li Liqun on yanggin (Chinese hammered dulcimer), the piece starts very quietly and, through a series of repeated melodic phrases, builds to a powerful finish. Most impressive is how the sound of the saxophones blend into these pieces. The music allows them space and they often carry the melody - in fact, Lei Liang's "Yuan" features only the saxophones and the piece has echoes of the work of American composers Roscoe Mitchell and the late Julius Hemphill. "Antiphony" (a musical term meaning " responsive singing or chanting") shows the power of cultural collaborations, not so much "East meets West" but really modern music that blends old instruments and melodies with current ideas of harmony. To find out more, go to www.innova.mu/. 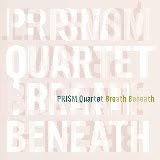 Breath Beneath (New Dynamic Records) - This release, from the label of Indiana University Southeast, finds the Quartet playing new music by North American composers. These pieces range from the James Brown-meets-the World Saxophone Quartet excitement of Zack Browning's "Funk Assault" to the lamentations of Roshanne Etezady's "Keen" to the constant hum and whisper of the title track, written by Kristin Kuster. The emphasis is on ensemble playing, with short solo lines rising out of the melodies - more often, one hears several saxophones playing together or weaving lines around each other. The 6-movement "Coloratura", composed by Canadian-born Kati Agocs, is, mostly, short dialogues with experiments in timbre, tonality and shifting pitch fields. The final section, titled "Hymn", is longer, softer, and, while it employs some of the devices heard in the previous movements, can, in the words of the composer "be played on its own." The work was inspired by Henry Cowell's mysterious "Hymn and Fuguing No. 18, for soprano and contrabass saxophones." The program closes with Rand Steiger's "Maxine", a work that has several distinct sections but is always a conversation among the 4 saxophones . The composition breathes, is, at turns, contemplative and breezy, but never dull. This collection of modern works is an affirmation of the creative spirit, of composers willing to take chances to create a personal yet universal message and of 4 musicians striving to advance in the 21st Century. I enjoy that the music is spacious, at times fractious, but much of what one hears touches the heart and stirs the restless soul. To learn more, go to www.NewDynamicRecords.com. Firehouse 12, 45 Crown Street in New Haven, welcomes the Dan Weiss Trio on Friday May 7 for 2 shows, 8:30 and 10 p.m.
Weiss, (pictured left) who has worked with a slew of artists and groups including the Village Vanguard Orchestra, Lee Konitz, Rudresh Mahanthappa, Miguel Zenon, Ben Monder, Uri Caine, Ravi Coltrane, Vijay Iyer, Rez Abbasi, Chris Potter, Donny McCaslin, and Tyshawn Sorey, is one of those musicians who is at home with many different styles of music. 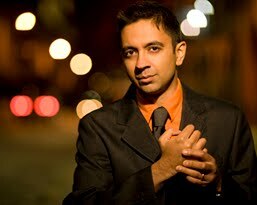 He has studied drumming with Pandit Samir Chatterjeee (tablas), Jamey Haddad (frame drum) and John Riley (trap set). His tabla playing has been heard in the classical Indian music of artists such as Anoushka Shankar, Ramesh Mishra, Subra Guha and Steve Gorn. He's coming to the Elm City on the heels of his new CD, "Timshel" (see below) his 3rd as a leader. Joining him will be pianist Jacob Sacks and bassist Thomas Morgan. The performance space should be a perfect venue for his intimate and involving music. For ticket information, go to www.firehouse12.com or call 203-785-0468. Timshel - Dan Weiss Trio (Sunnyside) - It feels like 2010 has brought a thousand new "piano" trio CDs but few as interesting and varied as this one from drummer/composer Weiss. There's melody, drama, shades of darkness and light in just about every track - one knows how technically proficient the musician are but this program is not about long flashy solos. The intimacy of the interplay draws the listener in on "Stephanie", the way bassist Thomas Morgan weaves his lines around pianist Jacob Sacks and how Weiss does not always set the pace, preferring to "color" the work or even sit out for stretches of time. Later in the piece, the trio falls into a sweet rhythmic pattern, a "St. Thomas"-like riff that is joyous. There's the quick shock of the human voice on "Always Be Closing", the drummer creating the piece from the rhythms of Jack Lemmon's vocal pattern (from David Mamet's "Glengarry Glenross.") "Frederic" is a lovely yet somewhat dark ballad influenced by the composer's love of Chopin. The following 2 tracks, "Teental Song" and "Chakradar #4", are built upon Weiss's study of Indian rhythmic patterns but using Western instruments - the interplay of piano and drums and how they share the melody as well as percussion is quite fascinating. Morgan (most recently heard with guitarist John Abercrombie and drummer/composer Tyshawn Sorey) is, in his quiet yet forceful style, the foundation of this music, freeing the drummer to be melodic, to drive, or to stand back. Sacks has many impressive moments, that stand out for his lyricism ("What Do You Want To Be When You Grow Up?" is a short but fine example) and gentle touch. 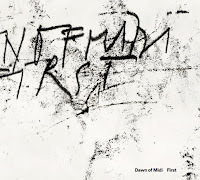 The forcefulness he displays on the title track has a stately, not staid, quality and flows over the ever-changing dynamics of the rhythm section. His playing is cliche-free, searching and often riveting. "Timshel" ("thou mayest" in Hebrew) stands out for its inventiveness and musicality. This is music that you have to pay attention to, subtle and nuanced, and original. To find out more, go to www.danweiss.net. First - Dawn of Midi (Accretions) - This trio, pianist Amino Belyamani, bassist Aakaash Israni and percussionist Qasim Naqvi, has created a debut disk that draws the listener into a world of sound interaction, spontaneous composition and melodic possibility. This is the kind of music that you can play over and over and still discover something new. It's as easy to be seduced by the funky rhythms of "Hindu Pedagogy" as it is to fall under the contemplative spell of tracks like "Civilization of Mud and Ember" and "One." On the latter cut, the rich bass tones mesh well with the fullness of the piano chords and the short, repetitive, single-note fills. All the while, percussionist Naqvi weaves his sounds through the quiet conversations (throughout the CD, Naqvi "colors"the pieces as opposes to "driving" the music.) "No Abhor" blends introspective piano, moments of silence, throbbing bass, and fascinating movement around the drum kit into a dramatic piece that feels like a narrative - near the end, there's a short, bluesy, section that reflects the possible influence of Keith Jarrett. Belyamani, who studied at the California Institute for the Arts, also works with Naqvi (another Cal Arts attendee) in the Axis Trio (whose new CD will be released in the summer on Accretions ) can mesmerize a listener with the simple power of one note; he does so, quite dramatically, on "In Between", the 11 minute spell-binding meditation that closes the program. The sudden shifts in dynamics on "Laura Lee" also have drama, especially in the pianist's twists and turns. Bassist Israni's playing also has a contemplative nature. This music rarely falls into "grooves" so he serves as melodic counterpoint on "Tale of Two Worlds" and percussive counterpoint on "The Floor." Reviewers like to give readers solid descriptions of the music, such as "hard-bop" or "mainstream", but Dawn of Midi has created a program of music that defies categorization. Come to this music with open ears and the rewards are great. To find out more, go to www.dawnofmidi.com. Here's the video that accompanies "No Abhor." Owen McNally wrote an excellent piece on guitarist/composer fine new CD, "Old Tea", for this Sunday's Hartford Courant - read it here. Following up on my trip to Chicago and seeing the Heath Brothers in concert, I am pleased to see "Destination OUT!" give its space over to pianist/blogger Ethan Iverson for a post celebrating Albert "Tootie" Heath (there's a link to Iverson's fine interview with the 75-year old master drummer.) The post also includes 2 tracks from Heath's 1969 "Kawaida" Lp and 2 more from his 2010 trio gig at Small's with Iverson and bassist Ben Street. "Kawaida" features Don Cherry, Herbie Hancock, Ed Blackwell, Buster Williams (who played magnificently this past weekend with Bennie Maupin at Wesleyan), Heath's nephew Mtume and brother Jimmy - some lineup! It's well worth the time to check this out. Do that here. NewMusicBox published an print & video interview with pianist/composer Vijay Iyer in March of this year and I'm still attempting to absorb all the information. Besides being a fine player, Iyer really is a student of creative music and talks easily about how music is always evolving. See it and hear it here.